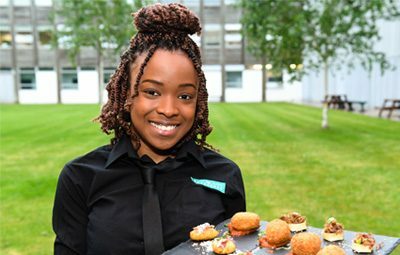 The Brasserie provides an exciting and unique dining experience to all its guests where the students are at the heart of all that we do. We are not here to train robots and love nothing more than our young professionals expressing their personalities and creativity in the restaurant. 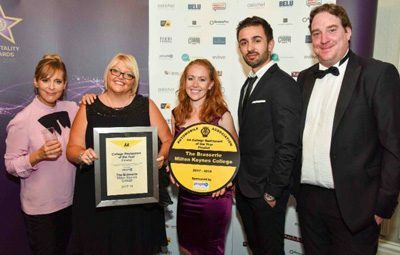 In 2017, The Brasserie received the prestigious AA College Rosette: Highly Commended award to build on previous rosettes received in 2015 and 16, as well as Gold Accreditation from People1st, recognising the exemplary training of new talent alongside excellent service. 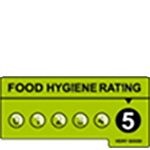 In addition, The Brasserie has been rated as a Centre of Excellence on TripAdvisor since 2015 thanks to numerous outstanding reviews. To add to your dining experience, you can watch what’s happening in the kitchen via a live web link and our trainee chefs will come to get personal feedback from you at the end of your meal. We promote the use of local seasonal ingredients, traditional techniques but with a twist of modern creative flair. The menu is changed every term and includes specials of the day that students have been creating in their individual practice sessions.